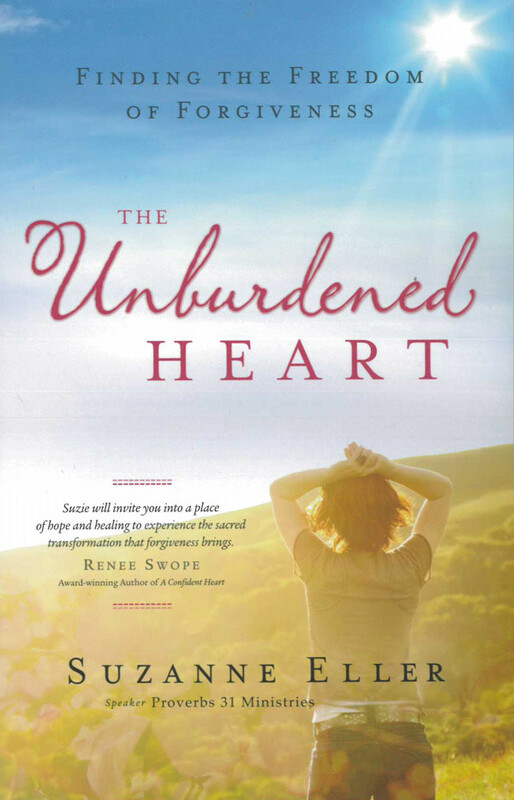 I have been reading a great book called ” The Unburdened Heart” by Suzanne Eller. The book is well written and offers very good insight on the subject of finding freedom to forgive. This is a topic that I certainly needed to read at this point in my life. I have not always been a very good forgiver.. LOL. Do you struggle with forgiveness or does this come easily to you? Suzanne offers some very valuable information throughout the book but one particular word she focused on really stuck with me. Suzanne discusses how when we use this word in relation to forgiveness it means we leave anger to find joy. This is how I have felt much of the last two years. For most of my life I had held onto such anger and unforgiveness due to the way my biological family had always treated me and my family. I knew from as early as 4 or 5 years old that I was not really wanted. My parents had always made this very clear in the way I was treated but also the words spoken. Of course, this led to years of feeling so unworthy in every way and having no self-confidence. Relationships were damaged because how can you love someone else when you have no idea how to love yourself. You certainly have no capability of allowing another person to truly love you because they don’t know the real “you” like your biological family does. This was the cycle I found myself in for years and year. I would try to be a good wife, mother and friend but I really had no clue as how to make that happen. I knew that I loved my children and husband, but until I came to accept the fact that God loved me for ME, then I would never be able to love my children or husband properly either. This was the constant battle because I heard from my parents and siblings over and over for 40 years how crazy I was because of the anxiety and panic attacks, but also how big a mistakes I was in general. I didn’t see myself as a mistake but I always believed what was spoken over me and my life. Evil and malicious words were the normal part of those relationships, so that is what I believed. My relationships struggled because I didn’t see myself as anyone of value. How could anyone else love me when my own parents and siblings didn’t? This was the inward struggle. Yet, after reading Suzanne’s book I have come to understand that by the neglect and abandonment of my family repeatedly over my lifetime, I had no way of having a clear view or understanding of God and HIS love for me. It distorted everything I did or didn’t do. Nothing was clear because my view of God was unclear. Until that became clear, no other relationships would work nor would I find the freedom to be myself. and there is no separating them. Without our view of God being correct, our lives will constantly spin out of control and all of our relationships will suffer. The past two years I have learned more about myself than I had the previous 44 years. One thing I have learned is that God loves me, designed me and has a great plan for my life. Without Him in my life, I am nothing. I am thankful that my heart is becoming more and more free from un-forgiveness and finding happiness to the fullest. I am thankful that God did not give up on me even when I gave up on myself. I would highly recommend this book by Suzanne Eller. How can three siblings be so different yet grew up in the same home? From as early as 3 or 4 years old, this was my everyday life. We lived one way at home behind closed doors and another in public. Most of the extended family could see how I was treated but often was fearful of confronting the situation because of the possible distancing of me from them. Most felt that if they kept me close, then at least I could be protected on some level. I was not protected.I was not safe. I lived in fear each day of once again waking up to the nightmare, yet dreaded sleep even more. Sleep frightened me. Darkness overwhelmed me. Fear was my best friend. At least with fear I knew what to expect. I couldn’t say the same for my parents or siblings. It is still that way today. I never know from one minute to the next what my “first” family will do today to try to hurt me or harm my 2nd family. The family that I so love is often hurt so deeply by the out reaching tentacles of the “crazy” ones. wished the best for me, as I do them. But after reading Elisa Morgan’s newest book, ” The Beauty of Broken” I have come to the realization that we each have adapted to our raising and childhood in different ways. I had to leave that life from the day I turned 18, while the other two have stayed entrenched in that life. If I had not left, I would have lost myself even more. 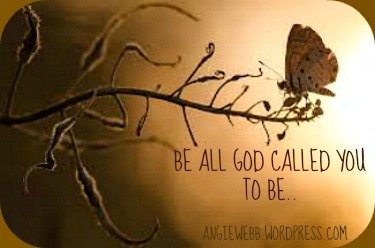 It took me until I was 46 years old to finally try to find ” Angie” and to really seek what God said about me. To block out what has been said about me by my first family. To believe I am worth more. To believe I am loved. Such hard truths to accept. Yet, I am on the road today. I would have lost me if I had stayed any longer. I would recommend this powerful book to anyone struggling in their own family. Elisa shares the ups and down of her childhood as well as her life as a mother, wife and the struggles of that family. Powerful reading and you will walk away looking at your relationships in a different light. My mom went behind hubby and marked out the writing. Doubting in life is so easy in today’s world when we look at the state of our nation. We no longer are a nation living UNDER GOD, but now we are a nation living under the control of many power hungry men and women. These officials of the government do not seem to have our nations’ best interest at heart but often the interest of a select few or certain groups. Doubt can set in very easily when we look to the government for our well-being, but we as believers in Christ, we must look to the one who has set the stars in place and chose to breathe life into each of us when we were still a twinkle in our parent’s eyes. Doubting God is just not possible when we look at our own lives or the lives of others because we can see the sovereign hand working behind the scenes. Maybe it doesn’t look like it will all work out in our human minds, but God is not a human. He is all powerful, all sovereign and wants the best for His children. There may be times of pain, struggle and difficulty from point A to point B, but in the end it will work out just as God intended. I have been in many situations where I could not understand the process that God seemed to be taking me through. In my mind it was very simple how it should work out, but in the end it didn’t happen the way I wanted it to, but God’s way ultimately was the best outcome. Hindsight allowed me to see the outcome differently. Even in loss of loved ones to suicide and murder or the life I have lived with anxiety, fear and agoraphobia; I can see the hand of GOD on my life. God’s ways are not our ways, but whether you are facing a battle today or not, allow God to take control because He has your best interest at heart. He does not want you to doubt Him or His love. Stand strong and face the day with a smile on your face. Doubt is the enemies’ tactic to keep us bound to our flesh. We are more than conquerors according to Romans 8: 37. When you ask, you must believe and do not doubt because the one who doubts is like a wave of the sea, blown and tossed by the wind. Why are you trouble, and why do doubts rise in your minds? Mike and I will be celebrating our 30 year wedding anniversary in a few months. It is amazing when I think about how many years we have been together, because often times it seems like it was just yesterday that we began our lives together. I look back and still remember the dress that I wore when we went to the Justice of the Peace to get married. I can describe the shirt and pants that Mike wore as well. Crazy.. It seems unreal to think about the reality that our oldest son is now 29 years old, married and has three children of his own. Our youngest son is about to be 23 years old, lives on his own and making a life for himself. I am thankful for the memories I have as their mother; both good and bad. Life as a mother is not easy. I can remember the days of our youngest playing with his Thomas the Trains all day and night long. That little boy was so obsessed with his Thomas toys. In fact, today he can still name the trains and describes scenes from the television show and movies he loved to watch. I can remember the days of our oldest playing Little Dribblers and playing with his dog Princess and Temptation. He was not much of a kid that liked to be inside the house, so more than not, he was outside with friends or riding his bike. Even though there are certain aspects of life as a wife, mother and daughter, I would not trade my life as Mike’s wife, W and C’s mother or my life as Inetha’s granddaughter or D&S’s daughter. Life wasn’t always easy in any of those relationships and at times, still very painful, but God is still in control. I have not understood everything that has happened, but are we suppose to really ever understood everything on this side of heaven? I wish I could have an answer from the Lord as to why? My life as a child was so painful, stressful and anxiety filled. My in-laws chose to give up on life after the loss of their oldest son. Do you see a theme?/? We live in a fallen world that will let us down, cause us pain and lead us to question everything…Even our God. Everything that happens is for our benefit; even loss. even pain.. even hurt… even dysfunction… we all live in this fallen world, even with God we are more than conquerors. Praise God.. Nothing is lost in this life. Even after 30 years of marriage to my husband, we have faced more than many others marriages survive going through. Yet, we have stood together, holding hands, as well as fighting through many battles, even at times fighting with each other, yet we never gave up. We kept putting one foot in front of the other, all the while standing on the Word of God that He would turn things around.. I AM THANKFUL TO MY GOD FOR HIS CONTINUED GUIDANCE, LOVE, PROVISION AND HEALING.. I AM NOT DONE IN THIS LIFE AND I CONTINUE TO PRAY FOR RESTORATION IN OTHER AREAS OF MY LIFE AS WELL. I want to offer you hope..
God is an author and finisher of what He has called us to do in this life. Nothing is lost. Nothing is wasted. Don’t give up..
Lord, help us to not forget where we have come from but Lord, help us to continue to seek the path YOU have set before us. Lay down the past because nothing can be changed, but don’t ever forget the lessons you learned from the past. It will help you or maybe you will have the opportunity to share your story with someone else that is struggling. Lord, You have continued to walk beside me as I “go down to Egypt” and allow me to achieve more than I ever thought was imaginable. I know that this is only the beginning because Egypt is over and I am FREE.. I don’t know about you, but I am shocked and bewildered at times at how good God is to me. I know it doesn’t make sense for a child of God to doubt HIS goodness and faithfulness, but I have more than I care to admit. That is a normal thought process for a child and later an adult that basically has never had anyone in their lives that they could trust. Trust is often a by-product of having individuals in your life that love, protect, nurture, value and esteem you, but when you never have those aspects in your life; then trust does not come easily. Yet, through my journey out of fear, anxiety and agoraphobia as well as the dysfunction of my biological family, I have learned so much more about myself, my God and my world than I could ever put into words. Believing in myself has the biggest bonus of “going down to EGYPT” and coming out of EGYPT.. I am by no means where I want to be, but I am so, so thankful that I am not where I was even a year ago. Less than 7 months ago, I went on my first family vacation in over 10 years because I had allowed my anxiety, fear and agoraphobia to control my life. WOW.. Now that was a sure fire way of stepping of out “My EGYPT” and coming full circle with putting my feet where my words and heart said I believed; IN GOD..
Oh, I had been a child of God since the age of 10 years old, but over time my life began to grow farther and farther from the total trust in God and HIS Word. Oh, I knew the Word, could quote the Word and believed it for everyone else, but why would GOD do those things for this “messed up, crazy person” as my parents and siblings had always said about me. I knew miracles still happened in our modern world but I did not believe that God would ever do such an amazing feat in my life because I did not believe that I was worth HIS time or that I would ever amount to anything in this life, so why would HE waste HIS time on me to help me step out of the controlling forces that hindered me from enjoying my life????? I don’t know who I am talking to today but I want to offer you hope. Even when you feel like you have gone around the same mountain over and over; for 40 years, which I had done since I was 8 or 9 years old… Don’t give up. Keep going and keep connecting your WORDS from God to your feet. Step out and keep moving even if it one small step at a time. No one expects you to go and do everything the first day that maybe you haven’t done in years and years, but trust yourself today to do one small thing that you have avoided in the past. Go to the grocery store alone. Go to the park and sit on the park bench for 20 minutes. Go to the post office. I know for years I avoided those simple pleasures in life because I was afraid of being away from home. Afraid of living but more afraid of having a panic attack and not being in my “safe” place. Dear One, this is not living. This is surviving.. Do you really think God sent His SON, Jesus to die on the cross so we could and would only live a “small” life and a “safe” life?? NO He sent HIS SON, Jesus Christ to die on the cross so that we could live an abundant, full, peace-filled, happy, joyful, memory filled life. FRIEND, please hear me today.. JUST TRUST IN THE ONE TRUE GOD THAT WILL NEVER LEAVE YOU, NOR FORSAKE YOU… TRUST IN YOURSELF TO FACE WHATEVER MAY COME, EVEN IN THE WORST SITUATIONS. YOU ARE STRONGER THAN YOU THINK. YOU ARE MORE SPECIAL THAN YOU BELIEVE AND YOU ARE WORTH MORE TO GOD THAN YOU WILL EVER KNOW.. Precious Friend, Go out and be brave today. I totally understand how easy it is to say that but I totally believe you can take the step of faith and just do one thing today that you have been avoiding… Stay strong and love the ones you love.. Be fully present. Growing up in an abusive, neglectful home, life became a roller coaster ride of trying to stay in the corner, hidden from everyone, all the while struggling to find a voice to tell someone that would listen how anxious, fearful and alone I felt even from the earliest age of 4 or 5 years old. Being a quiet child helped and hindered me in many ways. Hiding became my nature from as early as I can remember as a child until adulthood. I did not believe that I was valuable, loveable, worthy or accepted because how could I be those things to someone else if I wasn’t any of them to my parents or siblings. Hiding not just physically but also socially emotionally and mentally grew and grew over time. All the while, my anxiety, fear and eventually being afraid to drive grew into an almost unbearable state of life. Thoughts of suicide prevailed and permeated my thoughts more and more through the years. The lack of love, support and encouragement from my parents and siblings eventually grew into another form of abuse because of the damaging words that were spoken about me to others as well as to me and my now family of 4. My parents continually called me “not well” and chose to speak badly of me to others within my own extended family. Life continued to spiral out of control and the loss of security, confidence and acceptance of me only worsened. I felt like I could not trust anyone; even myself. How could I trust myself when everyone believed I was “crazy” because of my anxiety and panic attacks? I must be just as crazy as they said; but then how was I able to be married for over 20 years, have two children, hold down a job and be an active member in my community? The two did not seem to line up in my own mind, but for some reason I continued to believe my parents and siblings: I MUST BE CRAZY BECAUSE I AM ANXIOUS AND FEARFUL.. The breaking point came for me after the loss of my grandmother to murder by the hands of my grandfather who then took his own life. This was a game changer. I gave up on being happy. I gave up on living a life without anxiety, fear or now, agoraphobia. The agoraphobia became so unbearable that I could not even leave my home for a period of time. I tried to believe that I was safe, secure and that everything would be fine, but the fear and anxiety would overwhelm me and my thoughts, which would then lead me to just give up. I lost so much during this time. I lost peace, purpose, love, hope, joy, traveling, making memories with my family… On and on. The agoraphobia led me to eventually not travel away from my home town for over 12 years. This is such a sad statement. I and my family lost so much during this time frame in our lives. Not just due to the suicides/murder but also the tragic consequences of those losses in our own hearts, minds and souls. Suicide and murder changes families. It definitely is a tragedy that will forever be a part of our story, but through the journey that God has called me to walk, I am learning that the story does not have to stay a part of my present. The anxiety, fear and agoraphobia led me to walk a path that limited me on many aspects of life. Through my journey out of fear, anxiety and agoraphobia, I am pushing myself to walk with God all the while learning to trust myself and that He will walk beside me even in the darkest, loneliest times. Last year, after much prayer, preparedness and encouragement from many friends, my children and my husband, I sought a plan to make a trip to go visit my only living grandmother who is 95 years old. I also wanted to visit uncles, cousins and extended family that I had not seen in about 10 years. I did not have a clue as how I would make this 10 or 11 hour trip, but I knew it was something that I really felt the need to do for myself but also for those I loved. I wanted to make some memories, see family and have time away from our hometown. We set out on our trip August 22nd 2012. We were gone for 5 days and had such a tremendous time visiting with family, shopping, going out to eat, and seeing parts of the state of Texas that we had never visited before. God was certainly with me during this trip. I cannot lie; I was anxious and nervous at times but I did not have a panic attack at all during the trip. I truly believe that God was with me through the process. I was able to enjoy the time with our youngest son, make some memories and see those I love..
God has a purpose for our journeys and for our brokenness. 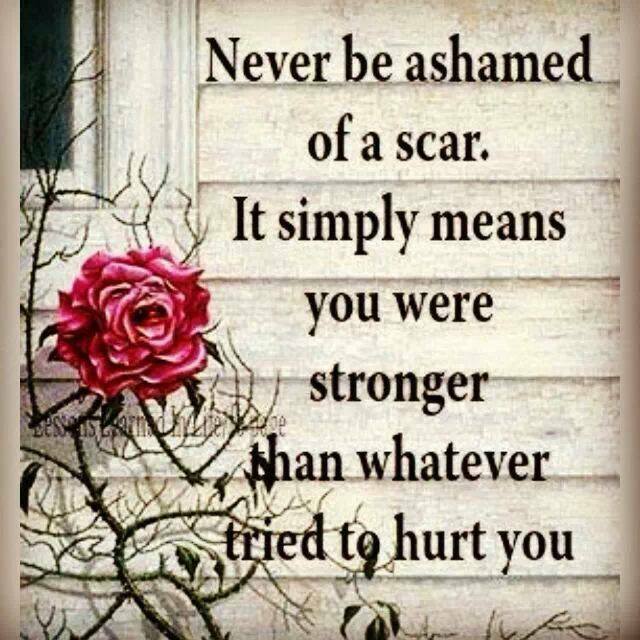 Without my struggles, loss and abusive childhood, I don’t believe that I would be the person I am today. Oh, I wish that I had never gone through any of those horrible things and I certainly wish I did not struggle at times with anxiety, but I am so, so thankful for the place I currently am in my life today. FREEDOM IS POSSIBLE..
Angie Webb lives in Texas with her husband of almost 30 years. Angie and Mike have been married since they were in high school. 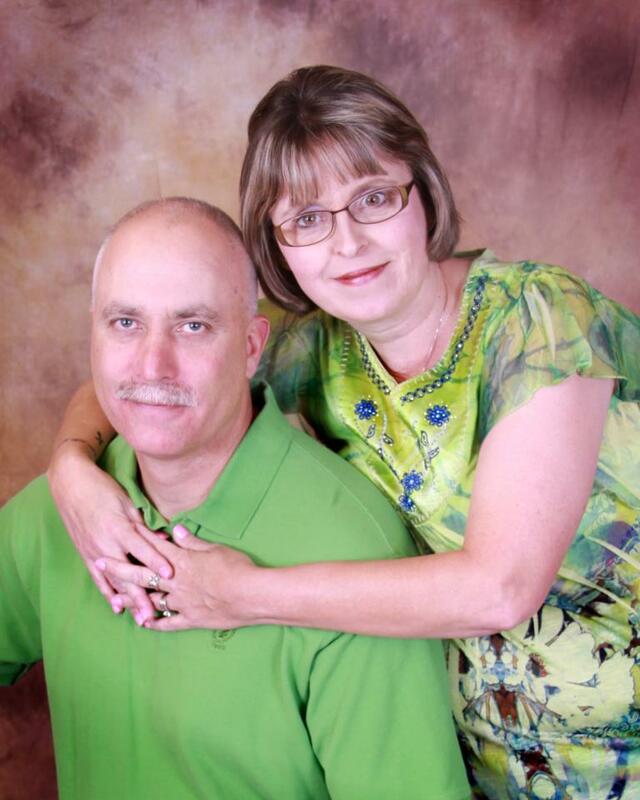 They have two grown sons and three grandchildren Angie loves to write on her blog at http;//angiewebb.wordpress.com. 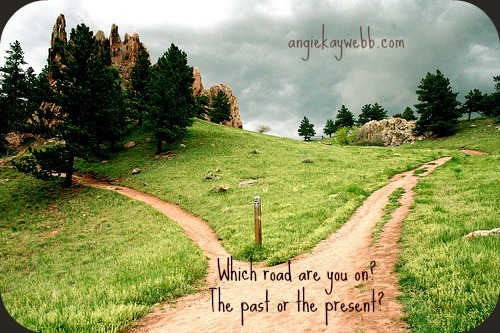 Angie also writes a monthly column for Heartbeat The Magazine at http://www.heartbeatthemagazine.com called Angie’s Insights. 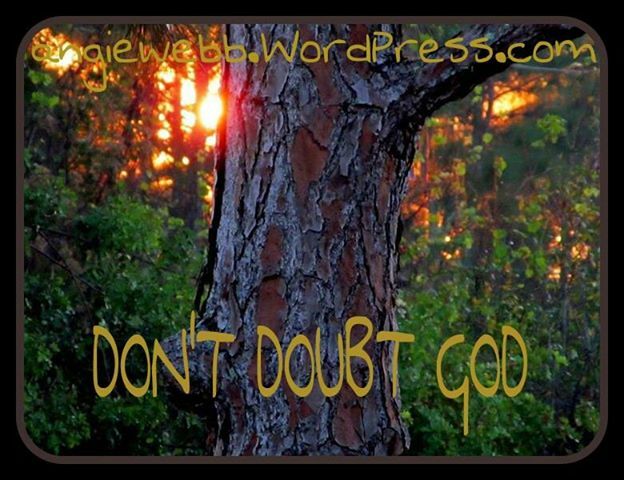 Angie also has a Facebook author page at: Joyful Journey by Angie Webb. Angie also has a twitter you connect with at Angiewebb65. Today, I am linking up with Only A Breath with Melanie at http://www.onlyabreath.com/ about the lessons we have learned from our one word for 2013. When God revealed to me this word at the end of December, I was not sure what it meant, but through the last few months, GOD has revealed more and more layers to this word. 1. RESTORE doesn’t necessarily mean RESTORE the way I originally thought, but GOD has a better plan than I can ever imagine. 2. RESTORE comes in different forms but for me, I have learned that God is slowly restoring me to my original purpose and His original plan for my life. 3. I began this year believing for restoration for the relationship with our son, but slowly and surely I have resigned myself to the fact that this may not happen this year, but God knows the right time for this to happen. 4. RESTORE OR RESTORATION came into my own heart in a small way in February through a clearing of the air about a past conflict. Even though nothing was resolved or repaired, the process allowed me much freedom and closure to the past pain. 5. RESTORE does not have to be perfect, clear or on my timetable. RESTORE can happen in the small places in my life. 6. RESTORE for me has been a place of restoring to a sound mind, health and heart for my own well being. Carrying around the pain of the past loss, abuse and family dysfunction has been a weight that God has not asked me to carry. 7. 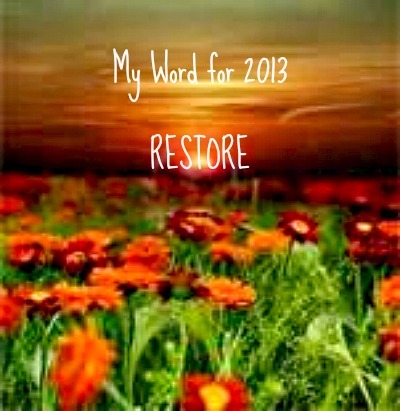 RESTORE has been a finding of myself on this journey. I grew up with a very talented grandmother, who loved to paint, crafts and be a life long learner. I have never really searched for my crafty side but this year, I have opened myself up to learning new talents such as acrylic painting, woodworking and greeting card design. I have been surprised at how much natural talent I apparently have had all of this time. I am loving the process of learning new crafts and art mediums. 8. RESTORE has taught me this year needs to be about ME.. For 47 years I have lived a life full of painful rejection, abuse, anxiety, fear and agoraphobia. During all of the pain from the past, I have lost myself. I have learned that this year must be about finding myself, having healthy relationships and making memories with those in my life. The first 47 years of my life were controlled by anxiety, far and agoraphobia. I want the next 47 years to be lived for God and to be happy with my life, all of the while moving forward on the next path God has planned for me. 9. RESTORE: ANGIE TO HER FULL PURPOSE AND ORIGINAL DESIGN. 10. RESTORE…. What else will I learn over the next 9 months? I pray that God will reveal to me the continued path I am called to walk and the doors I need to walk through. Restoration is a continued process..
Each person, whether from a good home or a not-so good home, has some form of a script in their head that the enemy can use to keep us beat down, feeling rejected or lost but ultimately, the script runs over and over in our minds to keep us from our healing that God so desperately wants for us. Life can beat us down whether we want it to or not. Tragedies happen. Life gets busy, financial stresses can happen but also we can face relationship struggles because of this continual script we hear over and over in our own minds. Often we are not hearing the words spoken by anyone else to us, but the words are running rampant in our own minds. 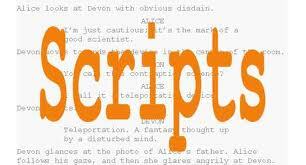 These scripts then become the screenplays for our lives; dictating our responses and reactions. Rewriting the script in your mind and heart will mean erasing old messages that are harmful and replacing them with God’s Word and new attitudes as well. According to 2 Corinthians 5:17, We are new creations in Christ and everything is new, so this allows us to rewrite the old and make it brand new in our mind. One of the enemies tactics in keeping us bound to the “bad” script, is by wanting us to believe that we are not precious to God. The enemy wants our doubts, shame, guilt and fears to keep us blinded to the depths of love God has for us and how precious we are to him as individuals. We often think that everyone else is precious to HIM; except us. Often, we are not even fully aware of the total healing that God wants to perform in our lives because of our own scripts saying we are worthless, beyond repair, our sins are too deep, our pain is too severe and on and on. The scripts continue to have the power to control our lives, when in reality GOD IS THE ULTIMATE POWER and He calls us precious, worthy, loved, valued and chosen. Today, I want to offer you a word of encouragement from someone that lived with a very unhealthy script for 47 years. My script was burrowed deep down into my mind and heart from years of rejection, abuse, loss and fear, yet over time of changing the script and the way I spoke to myself and about myself, God has opened a door of feeling peace on many levels that I have never experienced before. Oh, of course, the enemey wants to draw me back into his evil web of lies and rejection but thankfully, most days that is not even a possiblity. 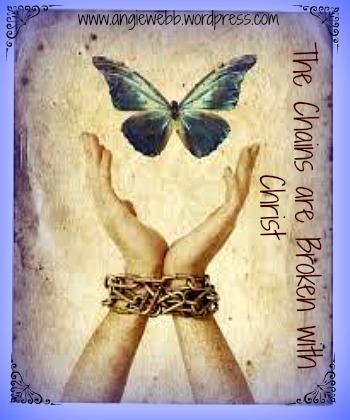 I am not where I want to be in my walk with the Lord and I am certainly not free from all of the past, but through changing my words, thoughts and feelings, I am able to change the evil script that keeps trying to control my life into a positive script where God has the control over me and my life.